Add to your range of World Peacekeeper toys with these fantastic 3 pack of Marine soldiers and accessories. With 22 articulated point on each figure, you'll be able to pose them as you like!. As well as 3 Marine figures also included are a number of accessories that your Marinescan use to ensure they keep the peace!. 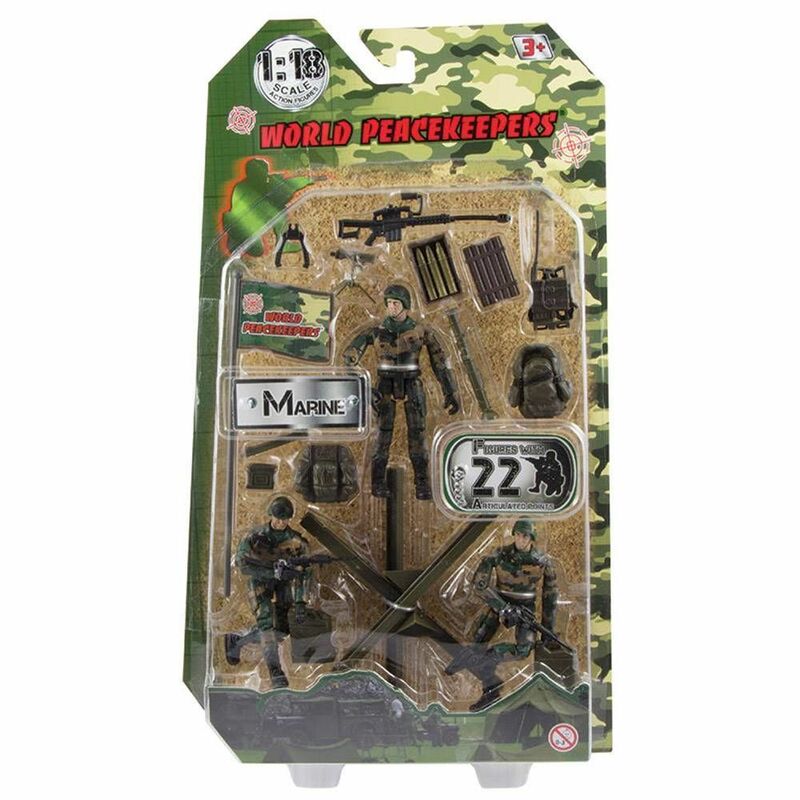 You can also use these figures with other World Peace keeper toys like the World Peacekeeper Buggy (Sold Seperately) World peacekeeper toys have a huge range so please checkout our other World Peacekeeper Toys. Please Note: Suitable for use with other World Peacekeeper Toys Size of figures (Approx) Height 9.5cm Suitable for children aged 3+ years Not suitable for children aged 3 years or younger Small parts -- Choking hazard.